Where is the airbag module located? Wondering where your airbag module is located in your vehicle? 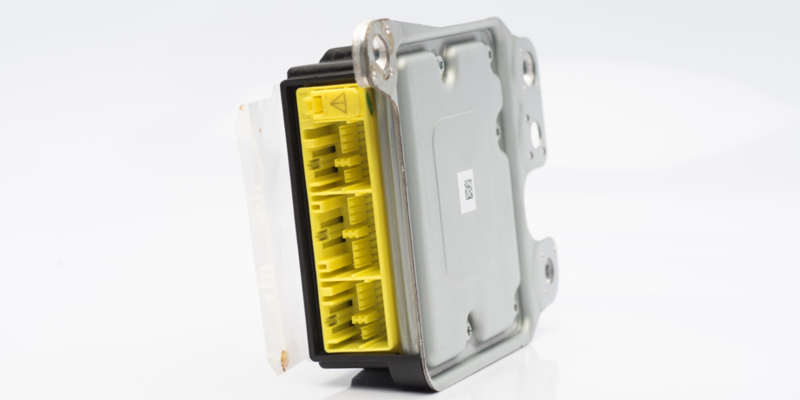 An airbag control module is the mechanism that controls the airbag system. There are several airbags in a vehicle, some located in the front, on the sides, or on knee-level to passengers. However, there is only one SRS airbag module unit in a vehicle. The location of the airbag module differs from vehicle to vehicle depending on the make and model of it. In some vehicles, it is located in the center console, kick panel, under the radio, or behind the steering wheel. Generally, though, it can be found underneath the driver’s seat or front passenger’s seat. Heavy-duty vehicles such as buses and trucks have engine control modules instead of airbag control modules. These units are often located beneath the instrument panel glove box on the front-passenger side of the vehicle. Find out where your airbag module is located. The importance of an airbag module cannot be stressed enough. It makes the workings of the entire airbag system possible. When a sudden stop or collision occurs, the airbag module receives information from the impact sensor that then passes on a signal to deploy the airbags. Without a properly functioning airbag module in a vehicle, the airbags wouldn’t even deploy. After airbag deployment, the airbag sensor is locked until it is replaced or completely reprogrammed. Following a crash, the information stored in the airbag module in the form of hard codes and crash data can prove quite useful—and is usually admissible in court too. Everything from seat belt use, engine and vehicle speed, brake light switch position, throttle position, impact speed change, airbag deployments and seat belt pre-tensioner deployments are stored in this small unit. Those who analyze car accidents often look at the airbag module information and find it more beneficial than other physical evidence or verbal explanation. If you yourself have been involved in an accident, refrain from buying a brand new module. Instead, have your present unit restored to factory settings by the company Safety Restore. How does a seatbelt work ? What is a seat belt buckle ? What is a seat belt retractor ? Airbag Reset – Save Yourself From Anxieties – Airbag Module Reset on What is an airbag module reset and why do I need it?